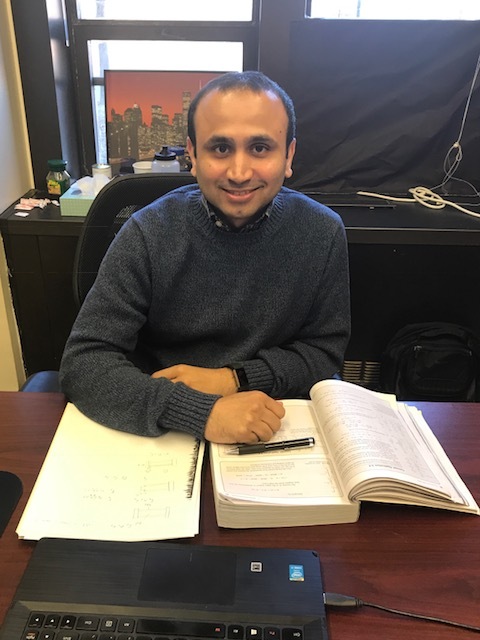 Researcher Spotlight: Kedar Kirane, Ph.D. Faculty researcher, Professor Kedar Kirane, Ph.D., joined the Stony Brook community in 2017. Professor Kirane’s research interest primarily lies in solid mechanics. He is excited to bring his industry experience into the classrooms and into his research lab. He has been selected for the Researcher Spotlight of Spring 2018. What interested you in joining the Mechanical Engineering Department of Stony Brook University? Stony Brook was attractive to me for multiple reasons. The main reason, of course, was the perfect match between my previous industry experience and the requirements of the faculty position. Another key consideration, is that Stony Brook University is one of few universities ranked as having the “highest research activity” in the nation, as per the Carnegie Classification of Institutions of Higher Education. Additionally, the university has some unique vantage points, such as easy access to Brookhaven National Lab facilities and the Composite Prototyping Center – both great resources for research. It was a bonus that Stony Brook’s location on Long Island is convenient to Manhattan. The aspect that I enjoy the most is interacting with students – both during research and teaching. I started here in September 2017; in this short time I have already come across some very smart, sincere, and hardworking students at the University. It has made teaching and research advising very rewarding. To add to that - the entire Mechanical Engineering Department of faculty and staff have been very helpful and welcoming! My ongoing research is really in the initial stages right now. My primary interest is studying how materials fail, specifically heterogeneous materials like modern fiber composites, concrete, and rocks. Failure behavior of such materials is very complex and multi-scale in nature. Understanding this and being able to model it is essential for many engineering applications. With my very first PhD student, Jing Xue, I am working on developing a multi-scale computational model to predict multi-axial failure in fiber composite materials. 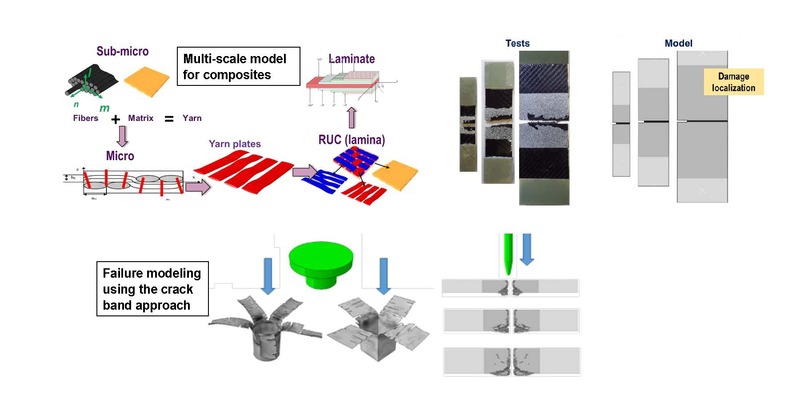 I also am working with Daniel Deland and Zongyan Zhang, MEC 596 research project students, to develop a new and simpler testing method to measure the biaxial strength of composites. I am also exploring newer research topics with my other MEC 596 students. These include size effects in soft materials (Andy Chu) and stress corrosion cracking in rocks (Kevin Gonzalez). What career advice would you give to students who are looking to work in Solid Mechanics? Solid mechanics is a truly fascinating field with an astonishingly wide range of application. A career in solid mechanics can open possibilities in many sectors today – ranging from automotive and aviation to materials, from oil and gas to microscale electronics, and from infrastructure to biomechanics. A master’s degree could help with landing design and analysis type jobs in industry. For these I would recommend a good working knowledge of finite element analysis. An internship is often a great way to get one’s foot in the door. For students interested in pursuing a career in solid mechanics research, a doctorate is a must. That will open up options in industry, in academia, as well as in national labs. A general piece of advice is to learn the basic concepts of mechanics very well. You never know when you will need some idea. This will help with the fast paced environment in industry where success depends on how quickly one can tackle and solve multiple problems by skillfully applying his/her knowledge. Growing up I trained as a gymnast. While I can’t do much of that today, I do practice yoga to destress and unwind. I love listening to Indian classical music and am also proficient in playing the “Tabla” – a popular percussion instrument in India.